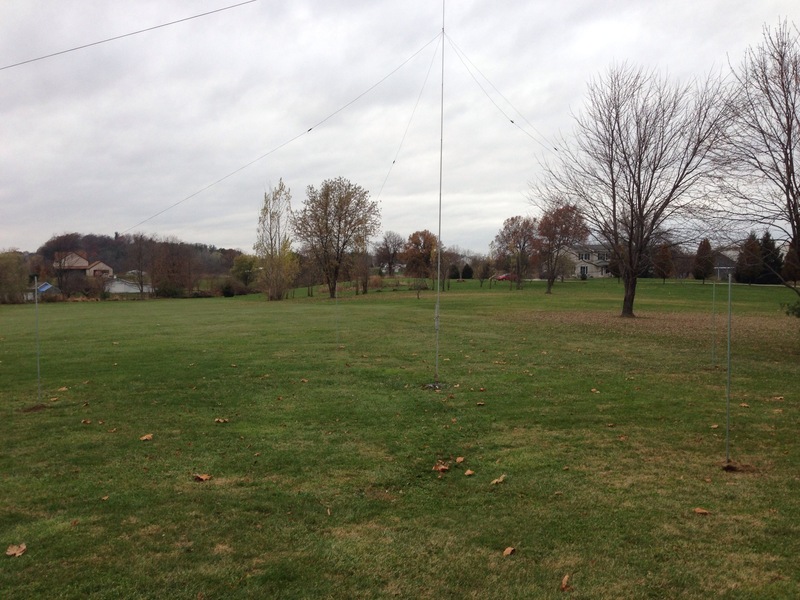 A few years ago, I spent an afternoon modifying my HF2V to improve bandwidth and performance on 80 meters. 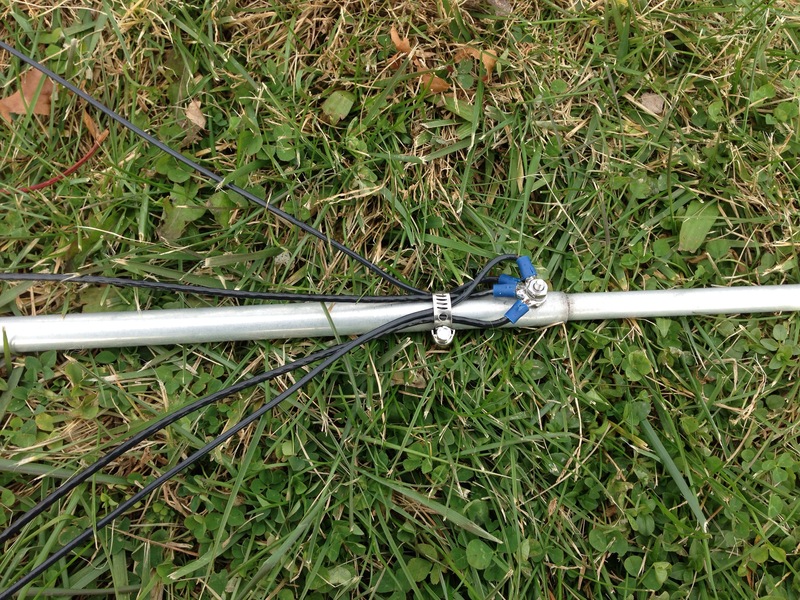 I installed my HF2V with 16 radials. The performance was good, but I was not satisfied. A year later I added 16 more radials. 40 meter performance was always good and I received great signal reports from Europe, often with only 100 watts. 80 seemed to work ok, but the bandwidth was only about 25 KC’s. I wasn’t satisfied. 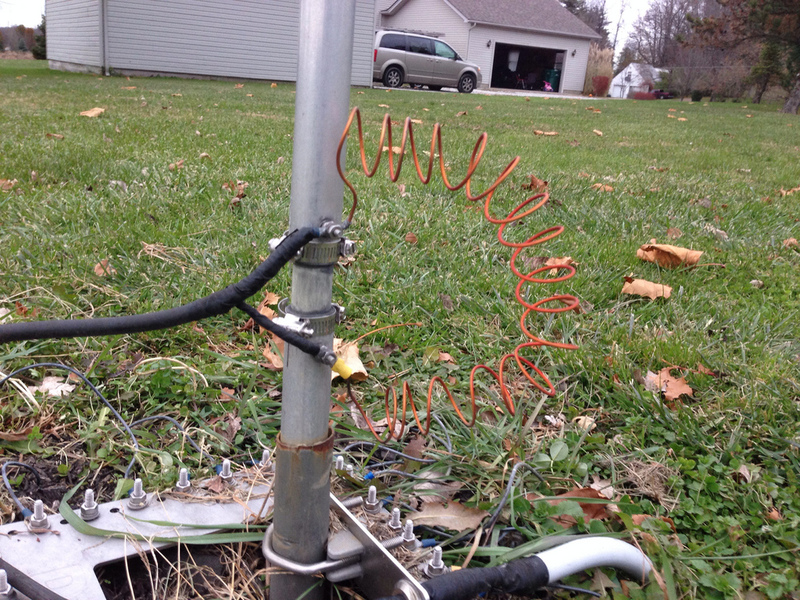 I had read about adding a top hat to the antenna before, but dismissed it. In the fall of this year, I ran across the mod again and decided to give it a try. This HF2V on the ground. I precut 4 – 12 foot wires, crimped and soldered connectors to them. The wires are attached 2 joints from the top of the antenna since the HF2V is not mechanically strong enough to hold them any higher. I replaced the old screw with a longer one and added a hose clamp as a strain relief. Back up with the wires attached. View towards the backyard. 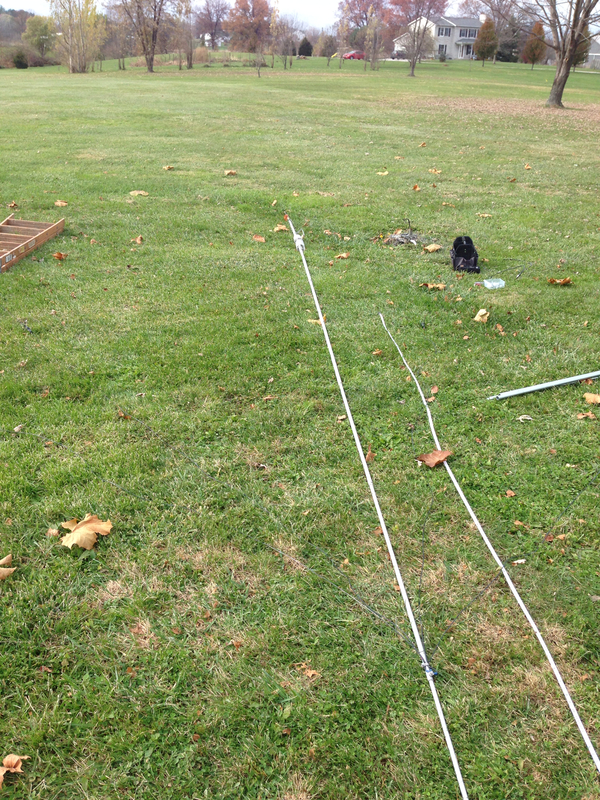 I used 10 foot pieces of 3/4″ EMT to hold the support ropes. This was an inexpensive way to keep my kids and the 8 kids next door from getting tangled up in the antenna. 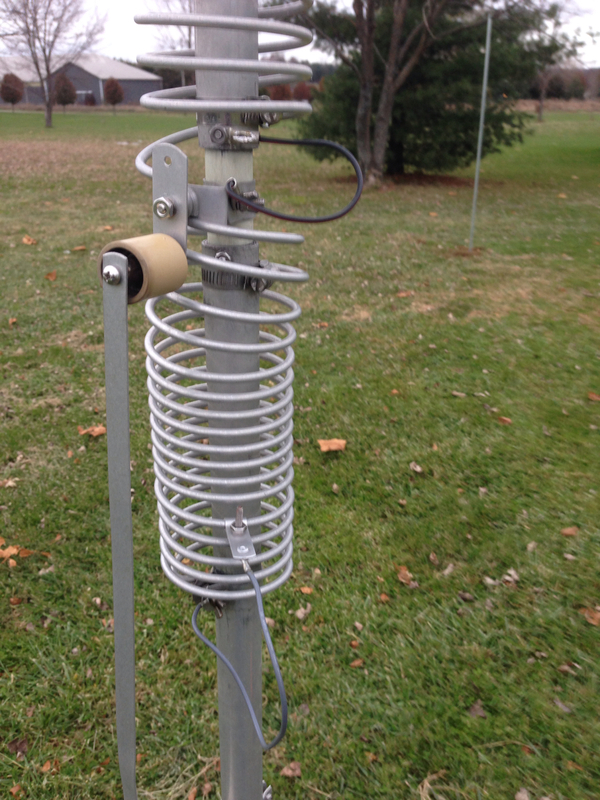 An initial check of the antenna before retuning. 40 meters moved down over 1 Mhz. Wow! This photo shows the jumper that I added to take the top (40 meter) coil out of the circuit and also the lower jumper to tune 80 meters. 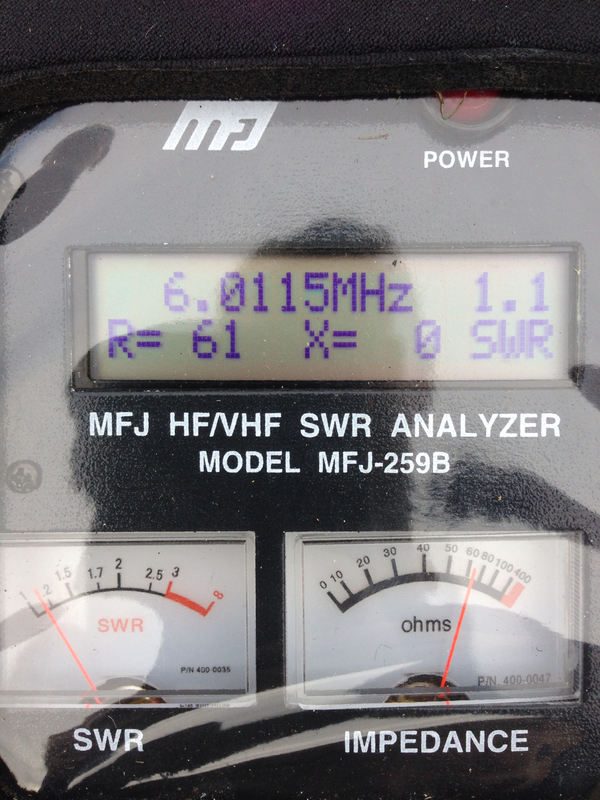 In order to get the lowest possible SWR on 80, I had to expand the lower coil much further than I ever had to before. 80 now has about 90 Kc’s of bandwidth (2:1) compared to approximately 25 Kc’s I had prior to the mod. I was able to work a number of stations in Eastern Europe during the Bulgarian Contest that evening on CW running about 400 watts. 40 Meters seems to also perform as well as it always has. 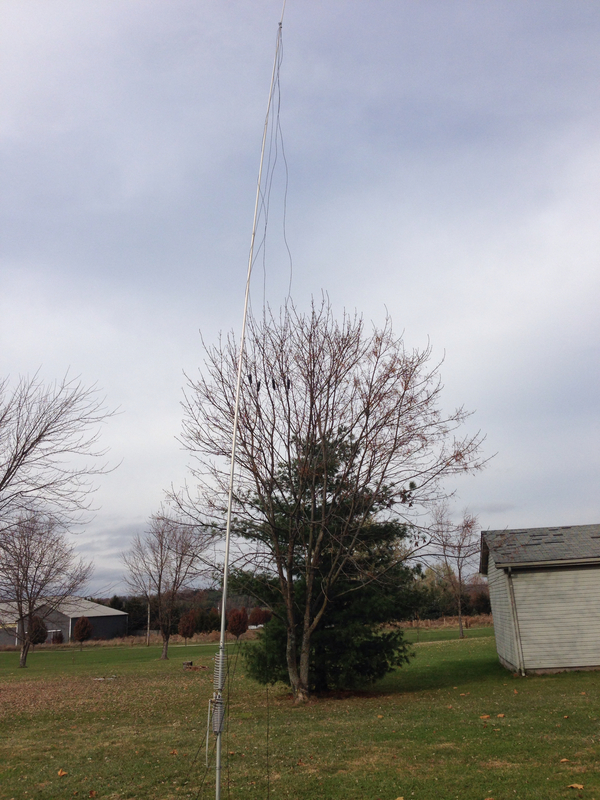 If I was willing to give up 40 meters, I could substitute 25 foot wires for the top hat. The should further enhance performance and bandwidth. Perhaps someday I may do that. For now I am pleased with the outcome. This is a fairly easy mod to do. I completed it in about 3 hours start to finish.